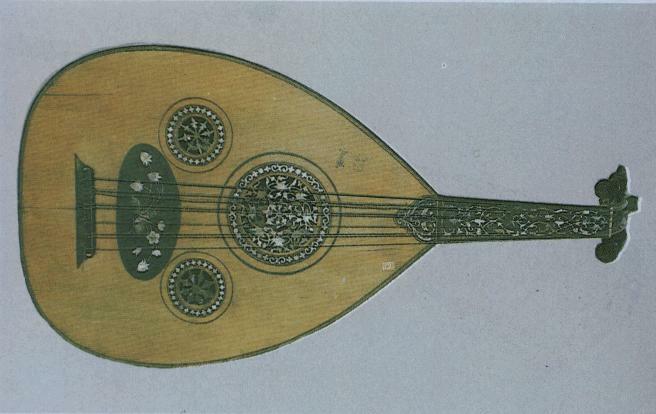 Traditional Art Music developed between the Anatolian Seljuk and the Ottoman periods and was performed at court. It was favoured by people living in cities and is still being performed. Its development was parallel to the emergence of Ottoman art and "divan" literature. The oldest manuscripts describing Traditional Art Music date back to the 15th century and notes of review to the 17th century.To learn more about the earlier period travel notes and ancient miniatures should be consulted. The Turks who arrived in Anatolia in the 11 th century integrated their culture with that of the indigenous Anatolians, which resulted in a blend of cultures. When we recall that such countries as Syria, Yemen, Iraq, Algeria, Tunisia, Egypt and, after the conquest of Istanbul, the Byzantines lived under Ottoman administration, we can understand why Turkish Traditional Art Music resembles the music of those countries. We learn the names of some of the musicians and instruments from manuscripts dating back to the Seljuk period (1071-1308). Taptuk Emre, a "Mutasavvif" or sufi, was an ascetic Islamic mystic who devoted himself to God through contemplation and ecstasy. He played a six-stringed instrument called the "sestar". Also Celaleddin-i Rumi, founder of the Whirling Dervish order and his son, Veled Celebi played the "rebab" another stringed instrument. 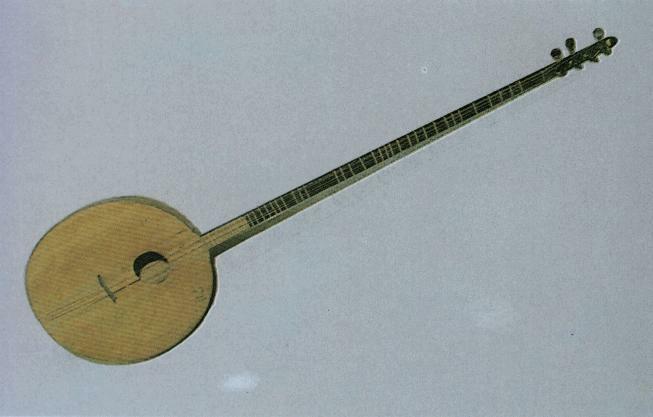 Ahmedoglu Sukrullah's book induding translations from Arabic and Persian describes "makams" and instruments. Hizir bin Abdullah's "edvar" submitted to Sultan Murad II, two "edvars," "Fethiye" and Zeynu'I-Elhan" by Mehmed of Ladik. Abdulkadir of Meraga's "edvar" in Persian, namely "Camiu'I-Elhan","Serhu'I-Edvar", and Makasidu'I-Elhan". Abdulaziz Celebi's book "Nekavetu'I-Edvar". These "edvar" books tell us that Turkish music was highly developed during the l5th century. New "makam"s and "usul"s were introduced in them all and former ones were revised. In addition, many songs written by anonymous composers date back to the 15th century. During 1520-1826, development of Traditional Art Music reached its peak in repertoire and performance. Music forms such as "Kar", "Beste" ("Murabba"), "Pesrev", and "Mevlevi Ayini" were very popular. Many, from sultans to religious men to statesmen, also composed songs and were the patrons of musicians. During that period, musicians such as Tabi Mehmed, Abdulali Efendi, Cengi Yusuf Dede, Hafiz Post, Buhurizade Mustafa Efendi appeared.Albert Bobowsky a Pole who converted to Islam in 1640 and changed his name to Ali Ufki Bey, compiled more than 400 songs and transcribed them into musical notation. Until that time there was no notation and songs were passed to the next generation by ear, ("mesk"). That is why Ali Ufki Bey's book,"Mecmua-i Saz-i Soz" (Book of notes and lyrics) is very significant.Prince Dimitri Kantemir, with his own musical notation system,transcribed more than 300 "pesrev"s and "saz semaisi" in 1690 and his book gives important information about the music performed in the Ottoman Court in the 17th century.In his theory book, "Kitab-i ilmi'I-Musiki ala Vechi'I-Hurufat, Kantemir describes popular "makam"s and "usul"s of the time. Evliya Celebi, author of the famous "Seyahatname" or "Book of Travels" was also a good musician. His book describes his travels through Ottoman territory in the l7th century, and gives detailed description of the music of the regions he visited. Nayi Osman Dede, who composed the only known "Miraciye" in history also wrote other works and Tamburi Mustafa Davut, whose songs are still performed, were prominent composers of the "Lale" (Tulip) period. 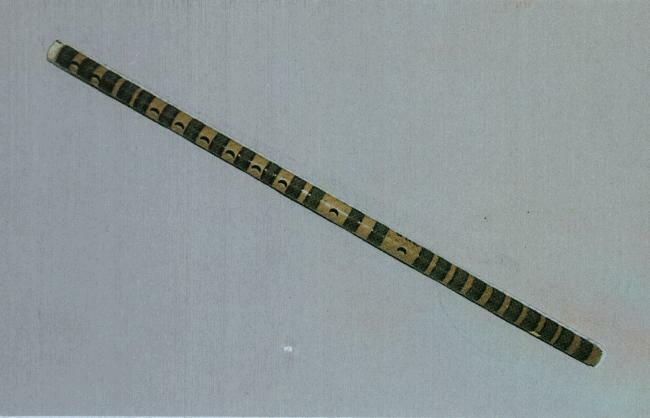 The most important achievement in music was recorded during the reign of Sultan Selim III. Selim III who played the "ney", invented 14 new "makam"s and composed many popular songs. With the support of Selim III, Abdulbaki Nasur Dede created a new musical notation system, "ebced" and wrote two books,"Tahririye" and "Tedkik-i Tahkik". Since 1826 to the present, Traditional Art Music been through a period of stagnation. Although all the sultans had supported. Traditional Art Music, Mahmud II disbanded the Janissaries and with them the Mehter Band and adopted in its place, a European-style military brass band. He did not consider Traditional Art Music important. With the declaration of the "Tanzimat" (Reform Decree 1839),musical forms such as the "Kar","Beste" and others of serious artistic worth, lost their popularity as the taste of the people changed. Famous Turkish composers of the time, such as Haci Arif Bey (1831-1885), Sevki Bey (1860-1891) andRifat Bey concentrated on "Sarki" (a kind of song, especially in verse). Other important composers of the period induded Zekai Dede (1825-1897), Bolahenk Nuri Bey (1834-1910) who composed music using the "Karlar", "Agir" ad "Yoruk" forms. In 1876, the first music notation books were printed in series including other manuscripts on notation. Important music publishers of the time were Haci Emin (1845-1907), Samli Selim an Samli Iskender. Daru'I-Elhan, was the first conservatory established by the state in 1917. Its name was changed to "Istanbul Municipality Conservatory" in 1927. Rauf Yekta Bey, Ali Rifat Cagatay and Ahmet Irsoy of the Traditional Art Music Association collected and published compositions which had almost been forgotten. Current music became more popular with audiences than Traditional Art Music as it had many elements of European and Near Eastern music. Traditional Art Music began to be performed on the State radio and television under the title Turkish Art Music in the second half of the 20th century. In Traditional Art Music, every note is called a "koma", means "minik". These "komas" were used alone, or in combination that is two, four, five, eight or nine together. However, there may be some differences during the performance. With this rich sound,hundreds of makams have been created (see examples 1, 2, 3,4) . Every "makam" has its own characteristics and every "koma" its own sign. Another characteristic of Traditional Art Music is the use of the "usul" or rhythmic pattern which regulates the structure of a composition. Each "usul" has a different name. 2 time "usul": "Nim Sofyan"
5 time "usul": "Turk Aksagi"
6 time "usul": "Yoruk Semai"
7 time "usul": "Devr-i Turan" and "Devr-i Hindi"
8 time "usul": "Duyek" and "Musemmen"
9 time "usul": "Aksak", Evfer" and "Raks Aksagi"
10 time "usul": "Aksak Semai" and "Oynak"
Although Traditional Art Music has some similarities with music performed in the Near East, it is very different in technique. Performed to make religious texts more attractive and without musical accompaniment instruments. Its forms are "Ezan", "Sela", "Kiraat", "Munacaat" ,"Na't", "Mevlit", Miraciye, "Temcid" and "Ilahi". Although all religious sects have their own music, this particular branch refers to the Mevlevi and Bektashi orders. It is with or without words. There are many forms such as I~lahi, Na't, Durak, Mersiye,Ik Pesrev ,Mevlevi Ayini, Son Pesrev,Yoruk Semai, Nefes, Savt. Forms such as "Kar", "Beste" (Murabba), "Agir Semai","Yoruk Semai", "Naks", "Zengin Semai","Karce","Kar-i Natik", "Sarki" and others. 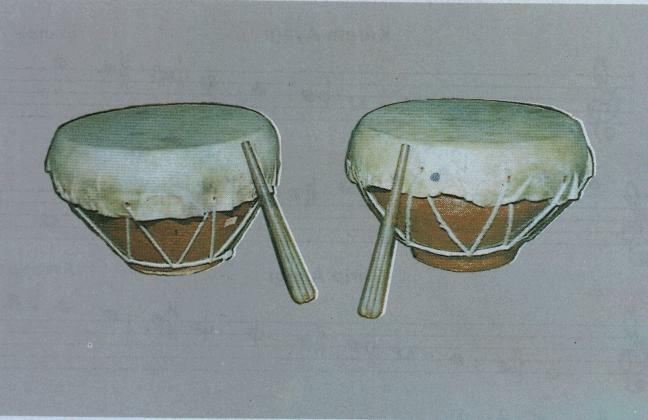 In Traditional Art Music,instruments can be divided into three sections. 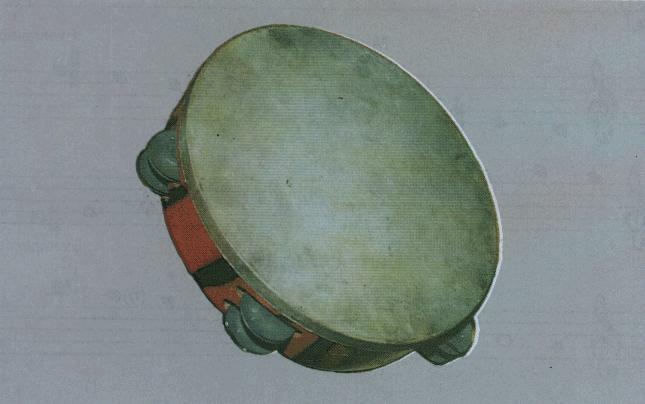 Kudum , Def , "Darbuka", "Mazhar" (all types of drum and tambourine) "Zil", "Halile" and "Calpara" (cymbals). Played with plectrum: "Tambur" , "Ud", "Kanun", "Lavta", "Santur", "Kopuz", Muni,Ceng,Cogur,Sestar. With bows: "Violin", "Viola","Violoncello", "Kemence". "Rebab","Sine" Violin and String "Tambur". 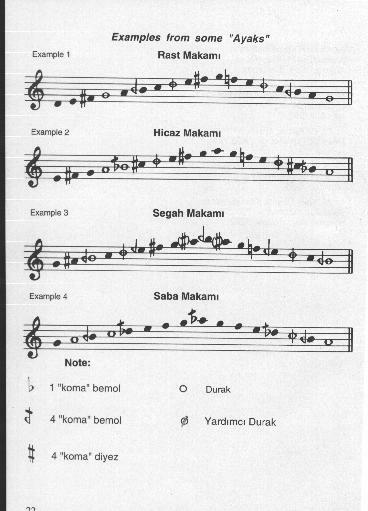 Ney ,(3 types "Esas Ney", "Ara Ney" and "Nisfiye"),"Giriff Mizmar" and Clarinet.